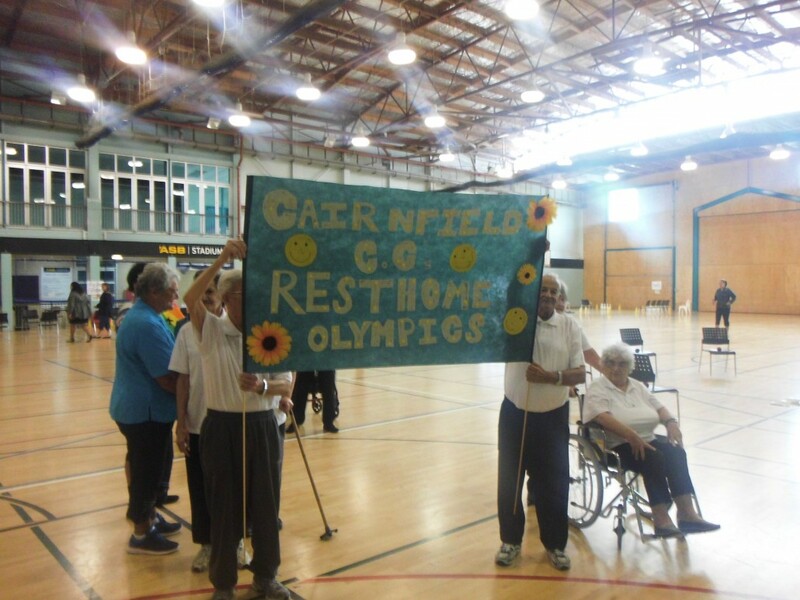 Sixty elderly Northland residents proved that the competitive spirit doesn’t diminish with age when they took part in the Rest Home Olympics at Kensington Stadium. 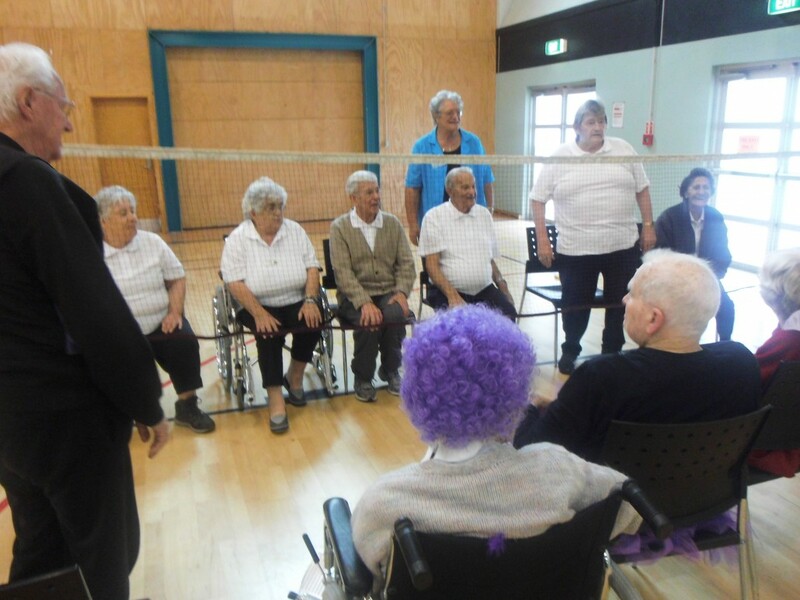 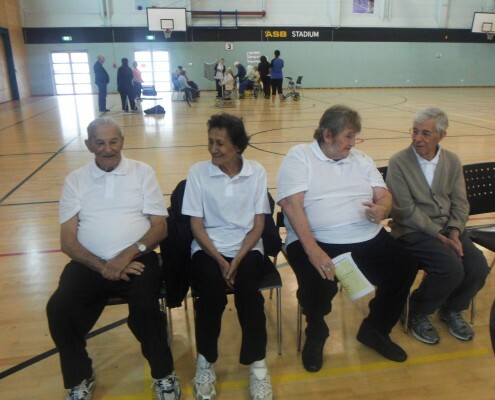 Ten rest homes each sent along teams of six residents, with caregivers, to compete at 10-pin bowling, noodle hockey, balloon volleyball, boccia and ‘big-ball forceback’. 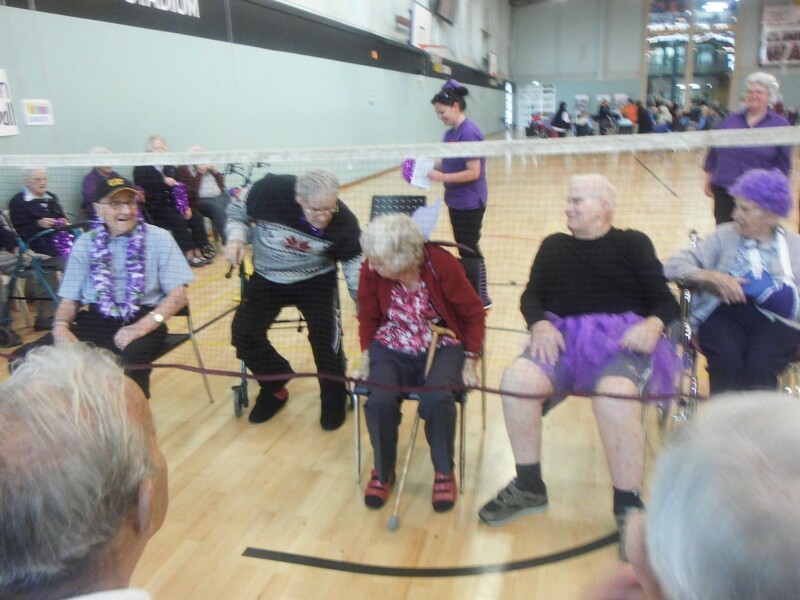 There were plenty of laughs and some very determined faces as the teams rotated through the games to play off against each other. 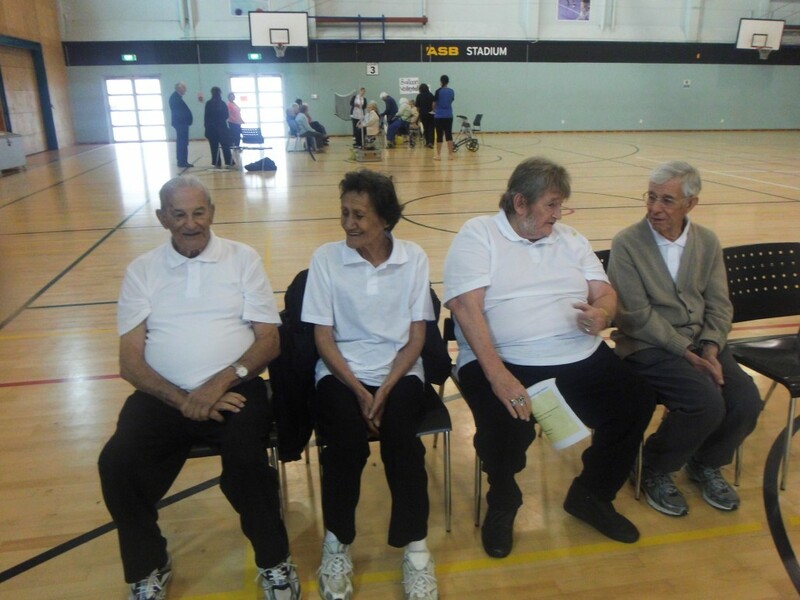 Wheelchairs, walkers and walking sticks were no barriers to participation, with all residents getting into the action. 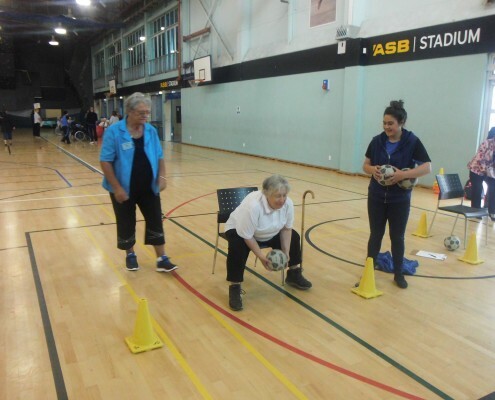 The event was opened by Whangarei Mayor, Sheryl Mai, while Councillor Tricia Cutforth presented each competitor with a medal and awarded the team prizes. 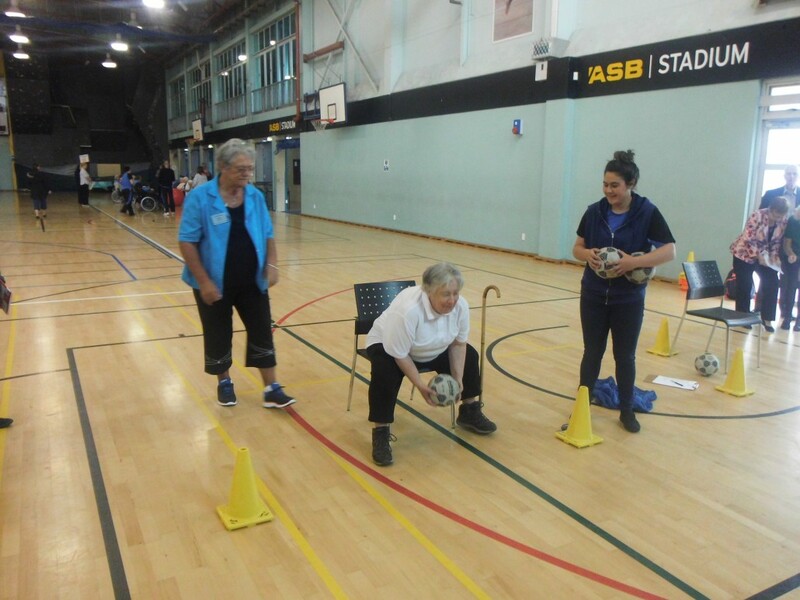 NorthTec Sport and Recreation students, who are based at Kensington Stadium, were on hand to run the games and assist the competitors. 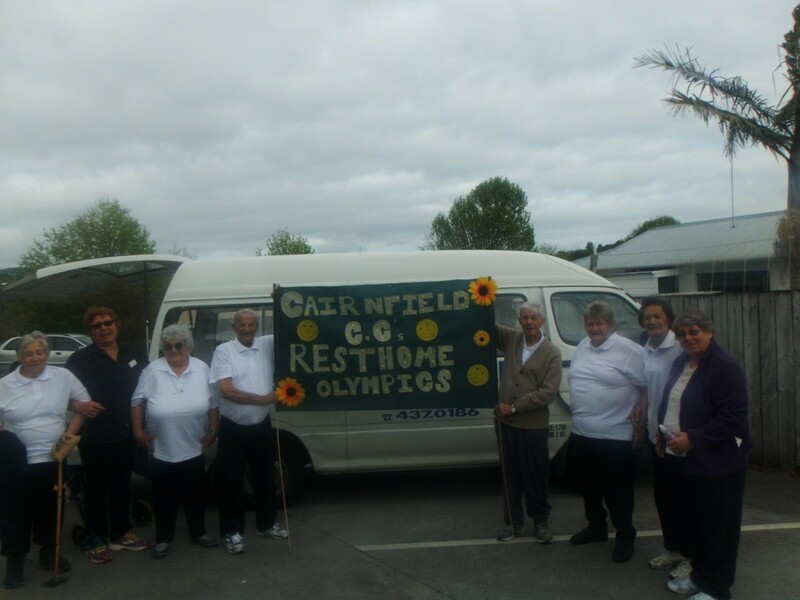 Diploma student Zane Davis was one of the six-strong organising committee, working with rest home staff to plan the day, which she had chosen as her practicum. 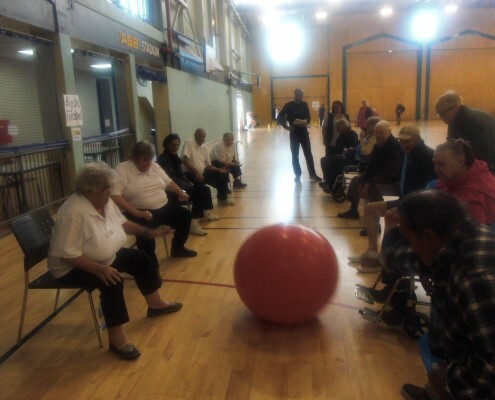 Zane said the games were chosen because they were suitable for all the competitors regardless of their mobility levels. 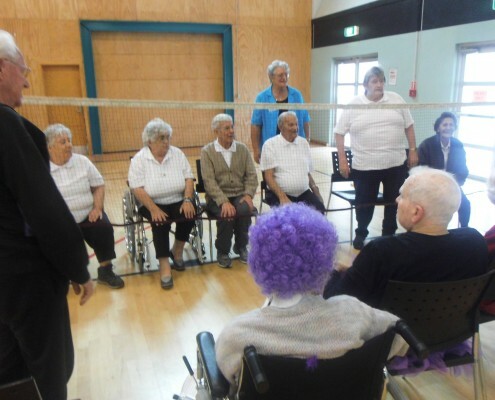 They were also great exercise for the rest home residents, and the day out provided them with fun activities in a social setting. She said some of the competitors had been in training for the event, while others had come along just for fun. 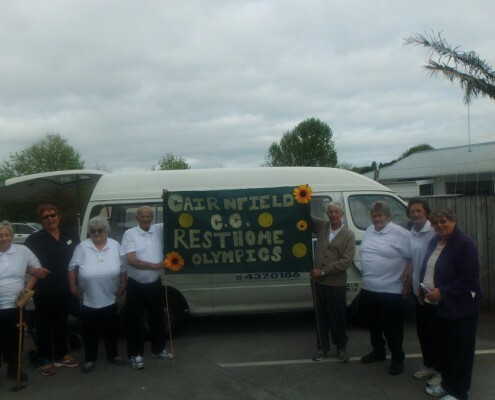 Home, Radius Baycare, Kamo Home and Village and Tranquillity Bay Care. 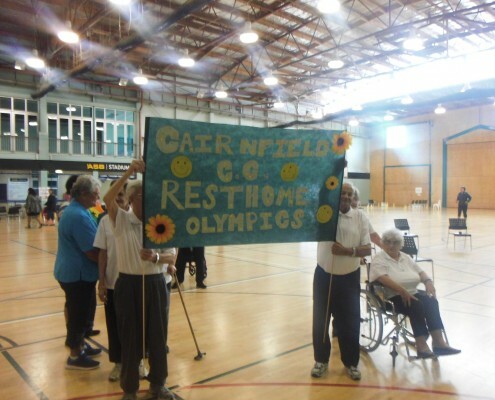 Parahaki Court also won the prize for best banner.